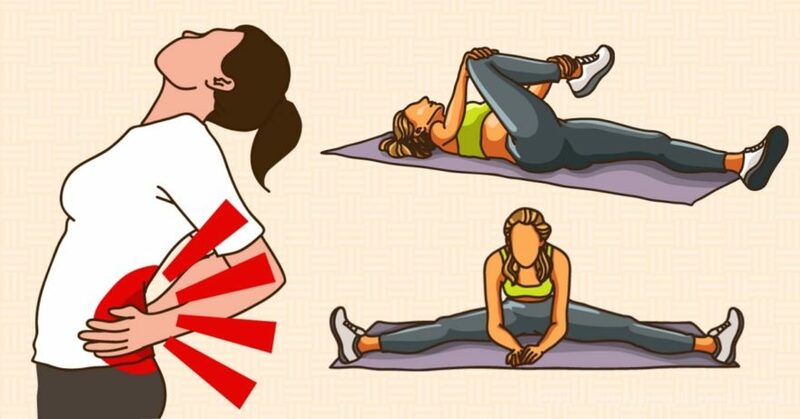 This is a very effective piriformis stretch but requires a partner who should be a trained professional (massage therapist, physiotherapist, a specialist in sports medicine, etc.). Lie on your front belly and bend one leg. The doctor will rotate the bent leg outwards as far as it will comfortably go. He’ll then apply gentle pressure to the piriformis as the athlete moves his/her foot from side to side for about 30 seconds. This is a great glute stretch. Using a resistance band increases the range of motion and provides an isometric stretch for muscles that are otherwise hard to reach. (4) Resistance bands come in different strengths so you can start with a looser one and move to a tighter one as you become more toned and accustomed to the exercise. Stand with one end of the band tied around the right ankle and the other end attached to a fixed object, close to the floor. Move the right leg out to the side, away from the body, keeping the knee straight. Once you get as far as is comfortable, slowly return the leg back to the center. Repeat 15 times and gradually build this up to 2 sets of 20 reps. Better known as a sciatica exercise, this piriformis stretch will work your glute muscles, piriformis, and loosen the lower back. Lay on your side with the hip to be worked on top. Bend your knees and position them forward so that your feet are in line with your spine. Make sure your top hip is directly on top of the other and your back is straight. Keeping the ankles together, raise the top knee away from the bottom one. Remember, don’t move your back or tilt your pelvis; all the movement should be coming from the hip. Slowly return the knee to the starting position. Repeat 15 times initially and gradually build up to 2 sets of 20.